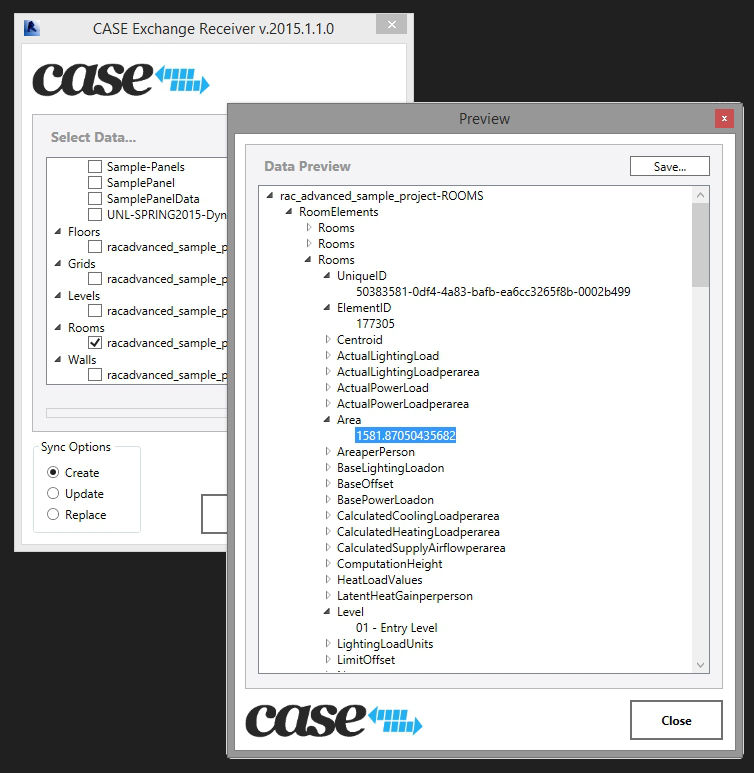 CASE's interoperability framework makes important design data accessible among different technologies. It has been awhile since I have shared an update on CASE interoperability approach. With new technologies entering into the fray, interoperability is as relevant a concept as ever. In recent months, much of my focus has been on highlighting efforts around the Rhynamo node library for Dynamo. I am thrilled to see that the library has grown in popularity and is currently the second most downloaded Dynamo package. In the wake of Rhynamo's success as an open source project, I have been actively continuing development of a broad range of CASE interoperability solutions which allow us to consult and support project-wide and firm-wide data management among a broad spectrum of design software. In recent months, these solutions have found their way into the workflows of firms such as Adrian Smith+Gordon Gill, AECOM, HDR, DIALOG, and RTKL. The goal of these solutions has been to address the many data transfer challenges as a building proceeds from concept, to analysis, to document production. Grasshopper, Revit, RAM Structural System, SketchUp, Microstation, 3DS Max, and SolidWorks are just a sampling of the tools that have found their way into CASE's workflow planning services as of late. Beyond providing technical tools for accomplishing better data transfer, our approach also involves mapping out key use cases for a team and to support the overall pipeline. Integrated practice... uses of interoperability to enhance collaboration among architecture and engineering disciplines for more seamless bi-directional coordination. Analysis workflows.... uses of interoperability as a methodology for model simplification and data extraction in analysis. Datafication and BIM migration... uses of interoperability for migrating legacy drawings/data into the BIM ecosystem. Let's automate 2D to 3D to BIM! Stay tuned for an extended and detailed CASE Blog post on these subjects... and always feel free to reach out to us if you are interested in these ideas. "Planarize Points" node will project a collection of points to a common plane. 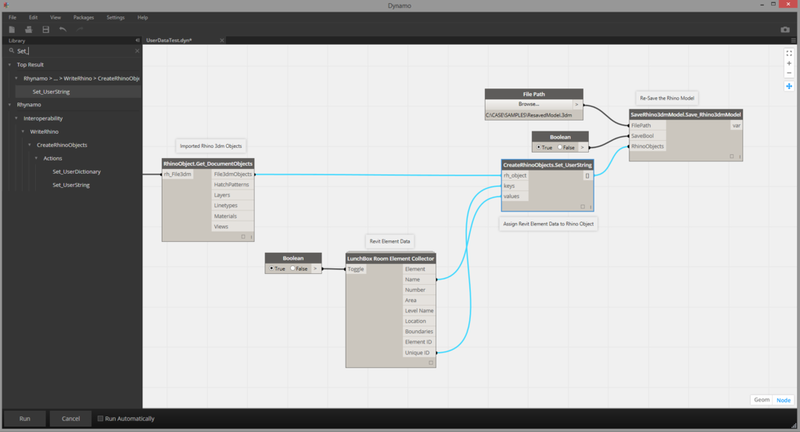 A new release of LunchBox for Dynamo has been posted to the package manager. In this release, I made modifications to the paneling nodes so they can better support a range of Dynamo lists and nested lists (no easy task with Python nodes in Dynamo!) I have also included a few basic "Rationalization" nodes that let you create collections of planar points and rationalize splines into arc segments. LunchBox is featured heavily in CASE's Dynamo training curriculum. We are running workshops during the month of April, so be sure to sign up if you are interested! Using curve parameters to describe co-tangent arcs. 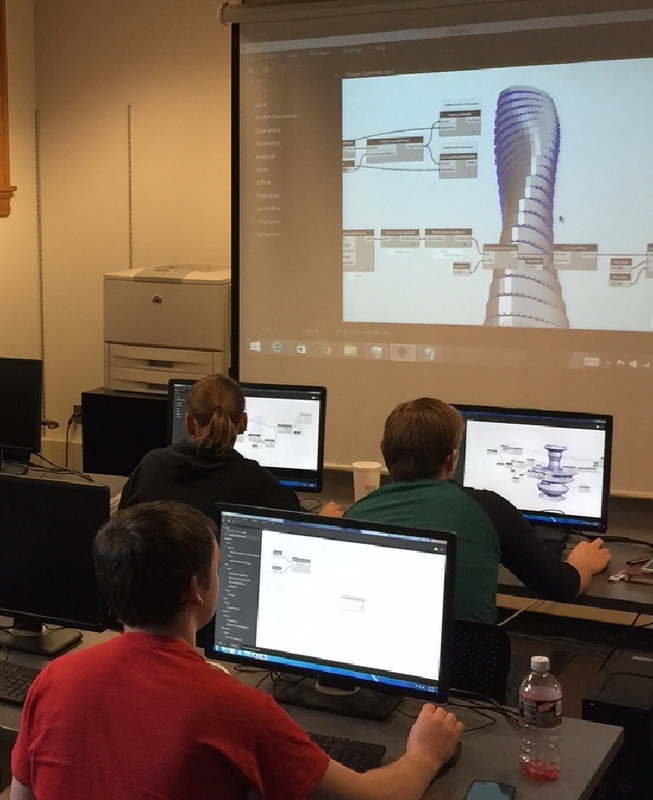 This spring semester, I taught a 3-session mini-course at UNL focused on computational design with Dynamo and Revit. Like the professional workshops I instruct at CASE, I focused this academic course on a real-world design study: the design of a parametric tower. The course started with an overview of concepts related to data management and geometry creation. 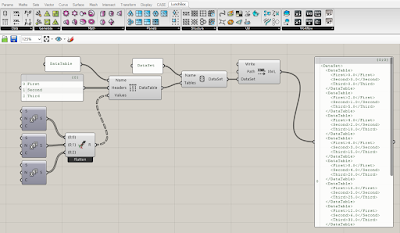 We then proceeded to explore the connections between Dynamo and Revit including element creation and parameter control. The course concluded with an overview of advanced data management concepts with Excel and interoperability with Rhynamo. 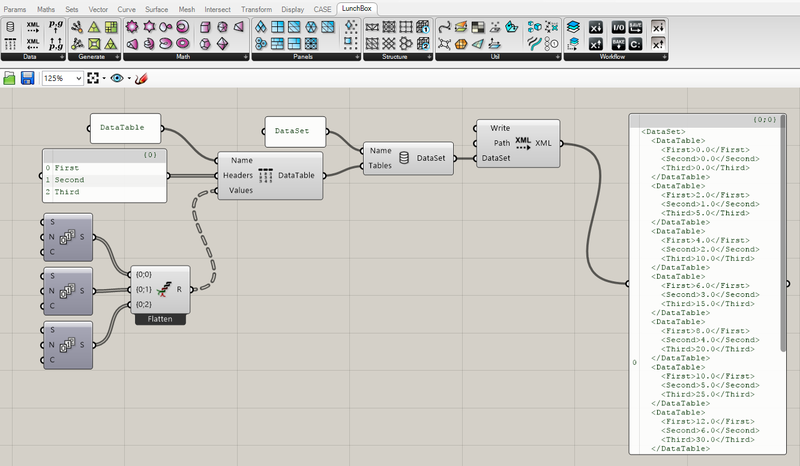 I also like how the tower typology allows students to explore ideas with Dynamo. In the class, a few basic workflows were introduced and the students could then develop these concepts into their own design ideas. This makes the class less about 'training' and more about being a design 'workshop'. I have found this to greatly improve knowledge retention and keep classes engaged.... especially with architects. CASE is running a Spring 2015 Workshop Series in NYC. Sign up!!! Check out my CASE blog post about how we like to approach professional training. LunchBox element collectors now have toggle inputs to better control updates with Revit. The end of the winter is near (I hope!)... I've already started my spring cleaning by addressing some new features and enhancements to LunchBox and Rhynamo. This past week, new versions of both Dynamo packages have been published to the package manager. Be sure to check them out! New outputs for various collection nodes. 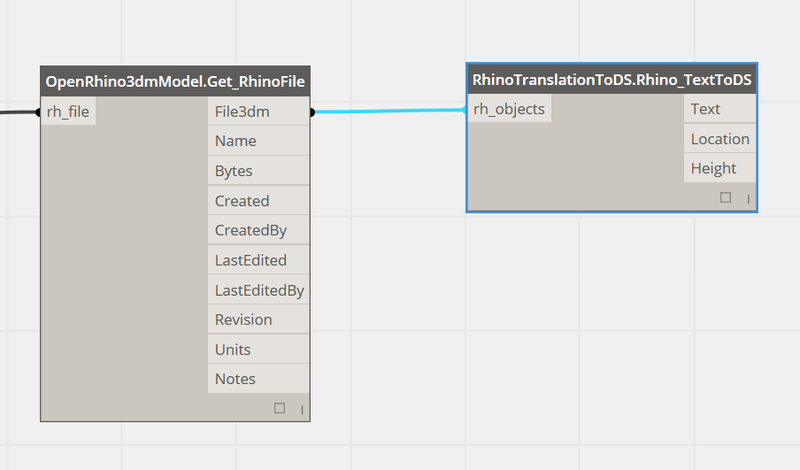 Get Text object data from Rhino models. Set User Data on exported geometry including User Strings and User Dictionaries. Check out the Rhynamo repo on Bitbucket to track these changes. Read my latest Blog post over at CASE about Rhynamo and Open Source tools. User String and Dictionary nodes let us read custom user data that is assigned to Rhino geometry. 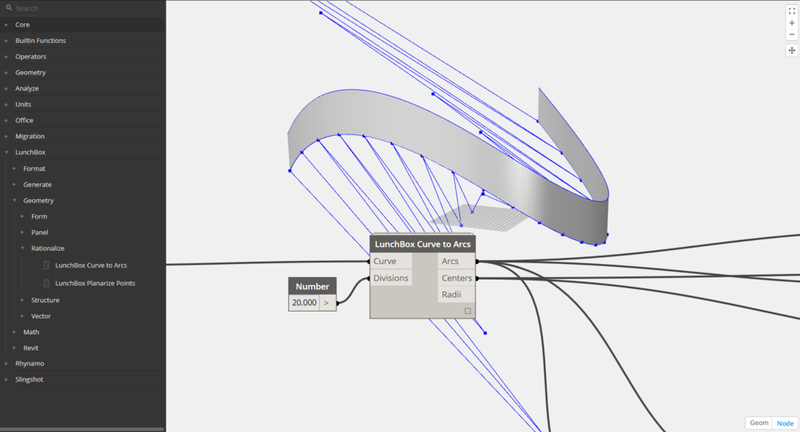 An example of round tripping Rhino geometry and assigning Revit properties as User Data. A new node for getting text object data from Rhino. 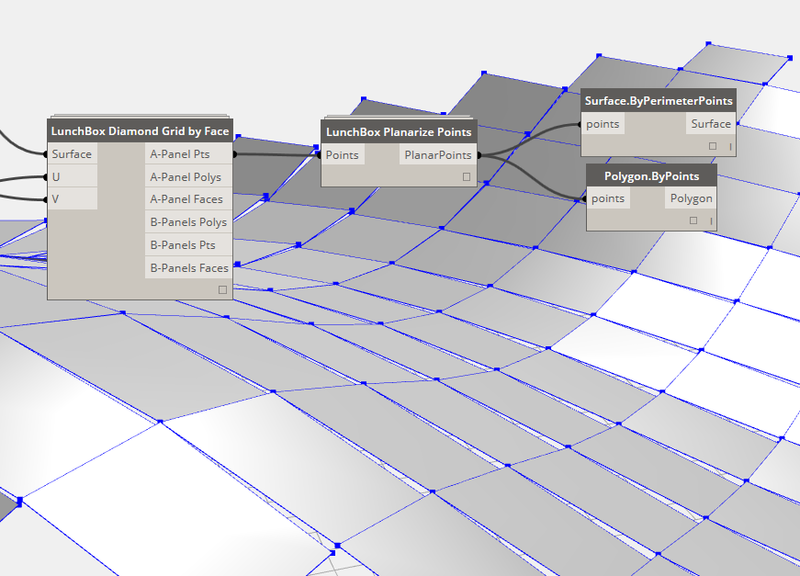 I have had a long standing fondness for parametric forms and surfaces that I thought it was about time I re-introduced some of them into the LunchBox package for Dynamo. The Grasshopper plug-in already had many of them implemented so it was a matter of migrating some of the code to the Python nodes. Dynamo is a bit touchy with self-intersecting surfaces and there is currently no way to establish "preset" parameter inputs for a node. With that in mind, I have also included a few sample definitions in the latest package so you can check out some of the parameters. Have fun.... oh and Happy New Year!